Rev. Henry Gerhard Appenzeller (February 6, 1858 – June 11, 1902) was the first Methodist missionary to Korea. He and the American Presbyterian missionary Horace Underwood both arrived in Korea in 1885, following soon after the first Protestant Christian missionary in Korea, Presbyterian Horace N. Allen, who had arrived in 1884. While Allen worked as a medical missionary, Appenzeller and Underwood were posted to Korea as teachers. Appenzeller established a school in 1885 that still exists today, and in 1887 he established the first Methodist congregation in Korea. Just as important as establishing the Methodist Church in Korea, which held a place close to his heart, Appenzeller felt a commitment to bringing American style democracy and capitalism to Korea. He believed that Korea needed both Protestantism and modernization, especially American modernization, to thrive and prosper as an independent nation and through his considerable efforts in this direction he helped lay the foundations of modern Korea. Born in 1858 in Souderton, Pennsylvania, Henry Appenzeller was the second of three sons born to Gideon and Maria Gerhard Appenzeller. His family attended the Emmanuel Reformed Church and gathered every week to read the Bible at home. After attending West Chester Normal School, he graduated from Franklin and Marshall College in 1882, and then attended the Drew Theological Seminary. During his college years he transferred his membership from the Reformed Church to the Methodist Church, and in 1885 was ordained to the ministry and appointed as a Methodist missionary to Korea in San Francisco. He married in December 1884, and his wife, Ella Dodge Appenzeller, accompanied him when he sailed for Korea to take up his mission. After leaving the U.S. on February 1, 1885, Henry and Ella Appenzeller arrived at Jemulpo (now Incheon) on April 5, after a stop in Japan. Deciding that the atmosphere in Korea was not yet settled down after the coup attempt the previous December, they returned to Japan after five days, where they stayed until returning permanently to Korea in mid June. After settling into their mission house in Hanyang (Seoul), Appenzeller began to travel throughout the country, preparing to teach God's word. His oldest daughter, Alice, born five months later, was the first American baby born in Korea. The Appenzellers also had a son and two more daughters in Korea. As he traveled around Korea, Appenzeller became concerned about the lack of educational opportunities for women and commoners in the country, where only the sons of the upper classes had access to a good education. With free (compulsory) education available to all children and college education open to women in his homeland since the mid-nineteenth century, Appenzeller wanted to make the same opportunities available to the people of his new homeland. Appenzeller opened the first western-style school in the country in 1885, beginning by teaching English, and in 1886, King Gojong endorsed its official name, Pai Chai Hak Dang (Hall for the Rearing of Useful Men) and also provided an official plaque confirming the school's royal accreditation. The Methodist Missionary Board financed construction of a strong new brick building to house the school in 1887, built only one story high, in order to adhere to the royal court's decree that any buildings constructed nearby the palace should not be higher than the palace. In 1895 Pai Chai added additional departments, moving a step closer to today's Paichai University. The Pennsylvania native baptized his first Korean convert on Easter Sunday in 1887, and by Christmas had gathered the first Methodist congregation in Korea, which developed into the Bethel Church and later the Chongdong First Methodist Church. He made many tours throughout the country, traveling on foot, by bicycle, and on horseback, speaking about the Gospel of Jesus. He studied the Korean language five hours a day so that he could preach in Korean, and in order to participate in the translation of the Bible into Korean with other missionaries. Discovering that virtually all of the local literature was written not in Korean, but in Chinese, which meant that most of the population could not read it, he opened a bookstore in 1894, which later expanded to become Methodist Printing and Publishing House, in order to provide reading materials printed in Korean and English, both to teach the gospels and to expand literacy among the common people. The publishing house also revived a monthly magazine originally published by Rev. F. Ohlinger, Korea Repository, to teach Americans about Korea and its people. As a Progressive, Appenzeller was concerned by many aspects of late Joseon Korean society. Unaware of how to cure people with cholera, they often left people outside to die. Appenzeller and his colleagues, even with minor medical training, saved many lives in the cholera epidemic of 1895. Realizing that the Korean people neglected to use their well-crafted writing system, hangeul, since the upper classes wrote in Chinese, and many in the lower classes could not read, Appenzeller became impassioned with providing a well-translated hangeul version of the Bible to the Korean people. He set about creating schools to help many people learn to read hangeul, and he worked hard at learning Korea and translating the Bible. The Bible was the best piece of literature available to many of his students, and they read it in earnest. Appenzeller firmly believed that God had called him, and other American missionaries, to remake Korea in America's image. He strove not only to plant Christianity, and especially Methodism, in Korea, but also to establish the American institutions of democracy and capitalism. He supported and encouraged the adoption of new technology from America, including street cars, automobiles, electricity, lighting, and late nineteenth century agricultural techniques. His school, Pai Chai Hak Dong, became a center for the Progressive Movement in Korea, educating future president Syngman Rhee and working with Progressive leaders Philip Jaisohn and Yun Chi-ho. Appenzeller walked a delicate line between fully supporting Emperor Gojong and Empress Myeongseong while fully supporting the Progressive agenda promoting democracy. In 1902, at the age of 44, Appenzeller was traveling on the Kumagawa, a ship of the Osaka Navigation Company, to the southern port city, Mokpo, to attend a meeting of the Bible Translation Committee. As they traveled through the night, another ship from the same company, the Kisogawa strayed into the path of the Kumagawa and the two ships collided. Most of the passengers on the Kumagawa, including Appenzeller, were drowned. 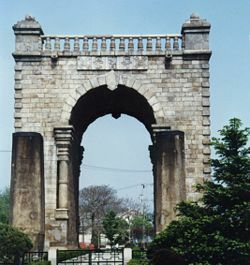 He was later buried at the Yanhwajin Foreigners' Cemetery, the grave site of 40 missionaries sent by the United Methodist Church and its predecessor denominations in the late 1800s and early 1900s. The Korean Methodist Church, which got its start with Henry Appenzeller and the missionaries who followed him, has dramatically developed as one of major Protestant denominations in Korea. By 2000, the denomination had more than five thousand churches, 1.3 million members and seven thousand ministers. Korea has six universities established under the Methodist model, including Paichai, as well as Methodist Theological Seminary in Seoul. It also had six theological institutes and 54 junior high and high schools. As a staunch supporter of Korean independence, democracy, and education, Appenzeller has been honored posthumously with the Presidential Medal of Honor. Thanks to the efforts Appenzeller and the nineteenth century missionaries to establish schools in Korea, the country has achieved a literacy rate of almost 98 percent. Two of Appenzeller's children, his oldest daughter Alice Rebecca Appenzeller and his son Henry Dodge Appenzeller, also offered many years of their lives in the service of Korea, Alice as the president of Ewha Womans University, Korea's first college for women, and Henry at the Paichai School his father had started. Appenzeller, Henry Gerhard, and Jones, George Heber. 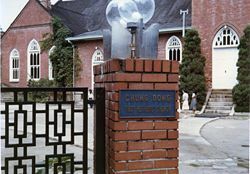 The Korea Mission of the Methodist Episcopal Church. New York: Open Door Emergency Commission, 1905. Appenzeller, Henry Gerhard, and Cho, Sŏng-hwan. Helli G. Ap'enjellŏ munsŏ: Helli G. Ap'enjellŏ munsŏ mongnok (munsŏ mongnok). Sŏul T'ŭkpyŏlsi: Tosŏ Ch'ulp'an T'aksa, 1999. Griffis, William Elliot. A Modern Pioneer in Korea: The Life Story of Henry G. Appenzeller. New York, NY: Fleming H. Revell Co., 1912. Cho, Rev. Sang Yean. Korean Americans honor memory of missionary pioneer. Openlibrary.org. A Modern Pioneer in Korea: The Life of Henry G. Appenzeller. History of "Henry G. Appenzeller"
This page was last modified on 16 December 2017, at 16:55.